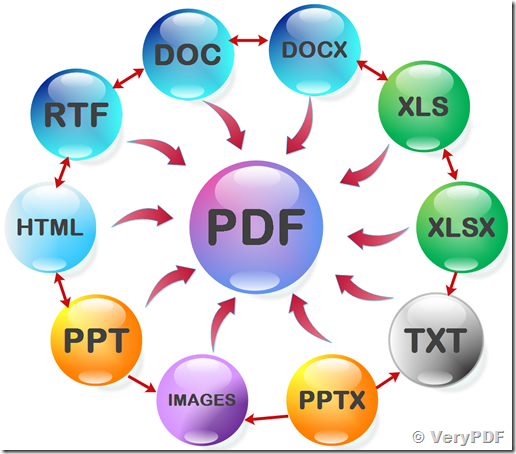 create pdf from html2pdf.exe from command line. Can you help to fix this issue. Your immediate attention will be highly appreciated. I have followed your instruction to use the 64bit machine. theURL = FolderPath & thefileURL & "\spc_QR_Template.htm"
folder_path = orderID & ".pdf"
path = folderpathpdf & thefileURL & "/" & orderID & ".pdf"
str = """" & theURL & """" & " " & """" & path & """" & " " & """" & "paperType=0,margin_left=10,margin_right=10,margin_top=10,margin_bottom=10" & """"
The actual str has the below value while run time. At the same time I can able to create the pdf file using html2pdf in command line. It is working perfectly. I have problem while executing pdfcreator.Doc2PDFCommandlineEx(Str,1). Below will be the str value during the runtime. Still it is not working. Your immediate attention and help will be highly appreciated. Your VB.NET application will call "VeryPDFCom.RunCmd" COM, this COM will call html2pdf.exe, then you can convert documents to PDF files easily. The following is an ASP example to call "VeryPDFCom.RunCmd" COM and html2pdf.exe, you can port it to VB.NET code easily. strPDFFile = server.mappath(".") & "\_verypdf_out.pdf"
strCmd = strExeFile & " " & """http://www.google.com"" """ & strPDFFile & """ ""paperType=9,pageWidth=792,pageHeight=612,Overwrite=yes"""
Response.write "Return Code = " & bRet & "<br>"
This entry was posted in DocConverter COM, PDFcamp Printer and tagged pdf creator, PDF Printer. Bookmark the permalink.